Tony Lee Grant, 29, of no fixed address, was sentenced on Thursday, 3 January at Guildford Crown Court. He was also given a four and a half year driving suspension, which will start upon his release. Intelligence gathered from CCTV, automatic number plate recognition and telephone data linked Grant to the areas in which the burglaries took place, and he was forensically linked to one stolen vehicle which he had also used to commit offences in after his DNA and a large amount of stolen property was found inside. Grant was arrested following a 3am pursuit in which a stolen Mercedes travelled in excess of 100 miles per hour along the A22 towards Caterham, before it crashed into a roundabout. A man was seen fleeing from the vehicle but was later located by officers a short time later. Originally giving false details, Grant was arrested and taken into custody. Investigating officer, PC Joe Brown, said: “This investigation was very complex with a number of different enquiries eventually leading officers to link Grant to these offences. I would personally like to thank all my colleagues and members of the public who have assisted in leading us to locate, arrest and charge him with these crimes. 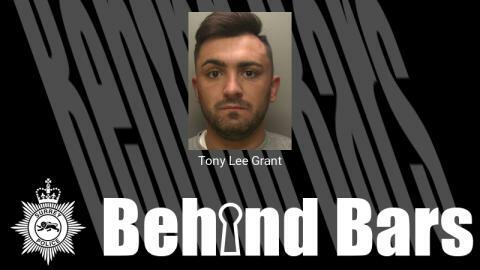 “Grant brazenly broke into a number of houses across the county and stole a significant amount of property, including high value vehicles, motorbikes, pedal cycles, tools and jewellery. “In many of these offences, Grant stole car keys and drove the vehicles away. I’d like to take this opportunity to remind residents to store keys out of sight and away from letterboxes, and not to leave them in easy to find places such as handbags or hooks. Operation Spearhead has been running with overt and covert officers and staff deployed solely to prevent burglaries and catch offenders, but residents can help us by registering their valuables on Immobilise and investing in unique marking liquid such as SelectaDNA. SelectaDNA is available at a 50% discount to Surrey residents, using code DNASURREY50 to order a kit for just £29.75. Visit www.selectadna.co.uk to order and to find out more. For advice on protecting your business premises, including CCTV, alarms and security lighting, visit our website.